Oh Mary Ann, that such a great LO!!! I could't find any mistakes ;) Talking about the small photo, I think is good down there, because your son is more important than the shape & decoration on the shuttle. Have a great day! & thank you for sharing your creativity. Cool page! I love the twisted twine with the rocket! I love this! 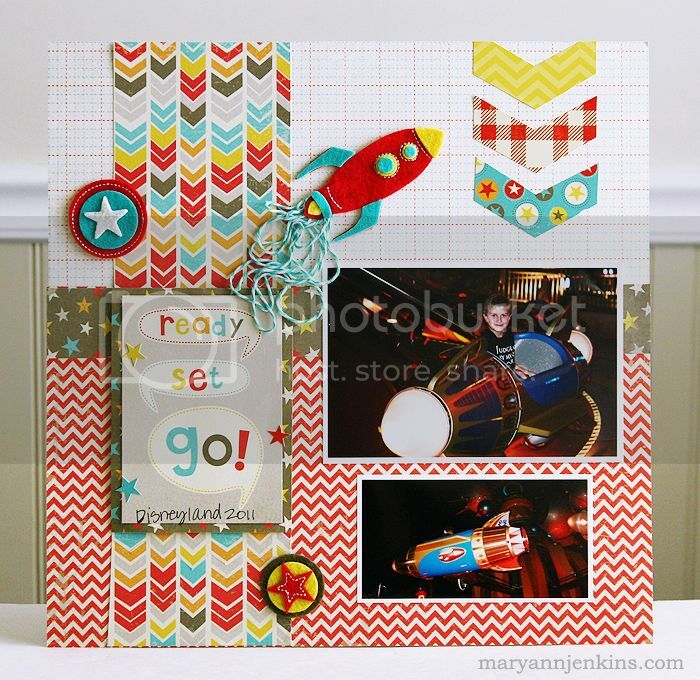 Cute rocket and love the twine! I so wouldn't have caught the mistake if you hadn't mentioned it, but I'm glad you did...I love your work, and it's nice to know that someone so talented makes mistakes too. Thanks! It turned out great, Mary Ann, and I love the cool rocket-twine too, so clever! The colors on this are so much fun and perfect for the photos! I would have never know there was a "mistake" if you hadn't said in your post Mary Ann! :) Looks pretty fab to me! Love all of the bright colors and fun patterns in this MME line. 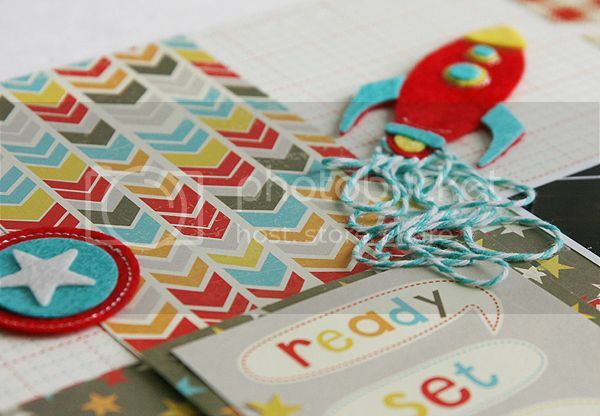 And the twine for your Rocket trail is so totally cute! How do you attach the twine when it is like that? So cute! Awesome layout loving the vibrant colors! Love this layout! You really rocked this collection!! !